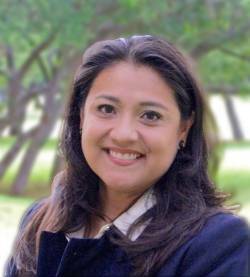 Dr. Lucretia M. Fraga earned her Ph.D. in Interdisciplinary Learning and Teaching with an emphasis in Instructional Technology from The University of Texas at San Antonio (UTSA). Prior to joining UIW, Dr. Fraga worked at UTSA for 12 years as the Teaching and Learning Consultant in the Faculty Center, Associate Director of Instructional Technology for the Academy for Teacher Excellence, and adjunct professor. In her roles, she taught students, faculty and staff how to use technology for instructional purposes. Dr. Fraga brings experience in pedagogy, instructional technology and design, teacher education, and professional development of faculty. Additionally, Dr. Fraga is experienced in writing and managing multimillion dollar grants at the local, state, national and international levels. Dr. Fraga was elected president of the Mobile Learning Network for the International Society for Technology in Education (ISTE). She will reside over one of ISTE's largest learning network for the 2018-2019 academic year. Dr. Fraga was nominated for the 2016 Journal of Digital Learning in Teacher Education (JDLTE) Outstanding Research Paper Award for her mixed methods research study entitled: The Flipped Classroom Model of Learning in Higher Education: An Investigation of Preservice Teachers’ Perspectives and Achievement. Theoretical foundations for mobile and ubiquitous learning, emerging tools and technologies for learning, integration of technology by faculty and pre-service teachers, pedagogical practices for learning and professional development of faculty.